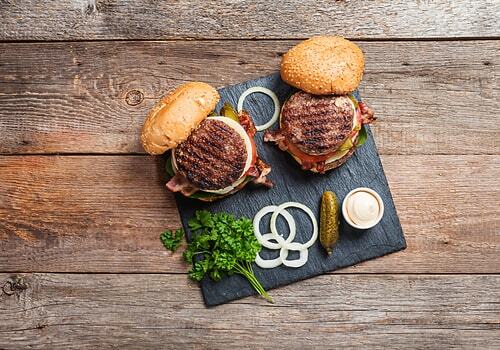 Next BBQ gathering, prepare these sizzling burgers and share it with everyone. This recipe is a great meal to make with its unique smoky flavor. 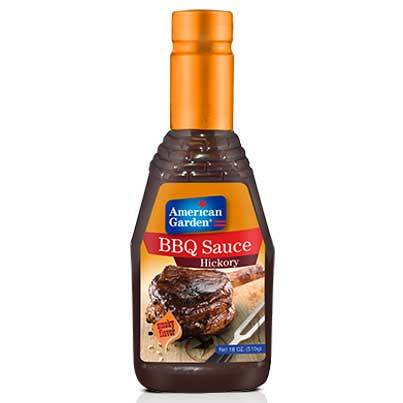 Mix ground beef, ¼ cup American Garden Hickory BBQ Sauce, salt and pepper in a large bowl. Form into 6 patties. Keep in fridge until grill is ready. Heat the grill to medium-high. Slightly coat onion slices with oil, salt and pepper. Grill onion slices over direct heat until golden and turn heat to low on them. Marinate them with BBQ Sauce and remove them from grill when they are soft. Sprinkle burger patties with salt and pepper and place on the grill for 5 minutes. Flip the burger and continue to grill until done. Marinate the top with BBQ Sauce. 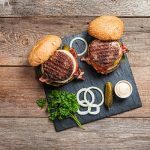 Finish each burger with a slice of cheddar cheese just before removing from grill. 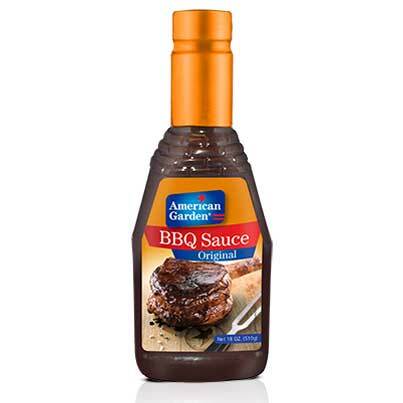 Add lettuce and tomato slices on buns, top with burgers, onions, and more BBQ Sauce.